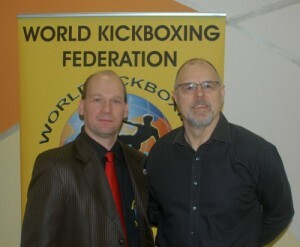 WKF Canada | CONGRATULATIONS to our Head Official Fred Isajenko!! CONGRATULATIONS to our Head Official Fred Isajenko!! 13 Apr CONGRATULATIONS to our Head Official Fred Isajenko!! We would like to extend a huge CONGRATULATIONS to our Head Official Fred Isajenko who is now officially an A Class Referee and also the newest WKF IRC Member! Please extend your congratulations directly to Fred. The WKF IRC is responsible for the rules and referee training world wide. Since Budapest we have a new member in the team of the 7th “wise man” . In unanimous decision the attended IRC members appointed A class referee Mr. Fred ISAJENKO from WKF CANADA as new IRC member.